This jacket combines bold colorblocking for a sporty look. Interior media port with cord guide and sleeve cuffs with thumb exits, open cuffs and hem. 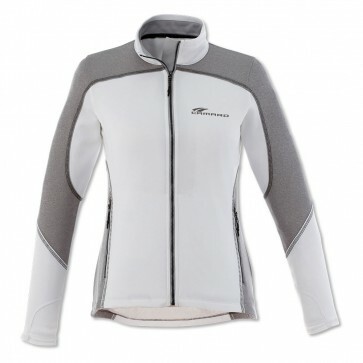 Contrast cover-stitching on the body and reflective taping detail on the back yoke. Camaro signature and rally stripes embroidered on left chest. Tapered waist for a feminine look. 100% polyester. Imported.